Keep it Wild has recently adopted two urban trails within the Flagstaff Urban Trail System. 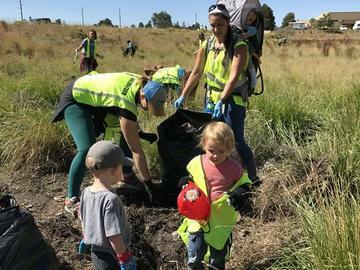 We are so excited to be responsible for cleaning along the historic highway and urban trail systems in Flagstaff. Come hang out, do some good, and help keep this beautiful stretch of city free from trash! Who: Everyone. Bring friends, family, pets (friendly ones on leashes please), and more friends! When: 4/7/18 from 10 a.m. to 12 p.m.